Get the Salt Outta Your Diet! Salt makes our food taste better. Sodium is also an essential element for our bodies. But too much sodium can lead to heart trouble, high blood pressure and that dreaded condition most celebrities and body conscious people want to avoid: water weight gain! Want to reduce sodium in your diet? Elisabeth Wright, from vitaminsandminerals.net has written a good post about how to avoid sodium in your diet. 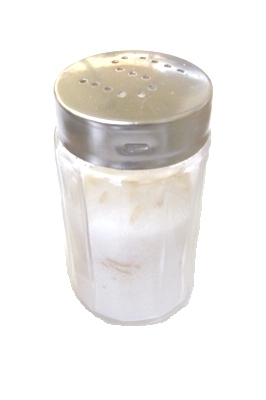 Click here for the article, 10 tips for Decreasing Sodium in Your Diet. Two of my favorite tips for reducing sodium in your diet: Cook from scratch and use more non-saltbased spices!